The To the Source of Anime retrospective ends its run today at the Cinémathèque Québécoise with a tribute to Noburo Ofuji. The “Wartime Japanese Animation” programs included propaganda cartoons that feature strikingly American character designs. I mentioned this to Akira Tochigi, the curator of the retrospective, when I interviewed him during his stay in Montreal. Mr. Tochigi spoke with enthusiasm during our lengthy interview. Armen Boudjikanian: This retrospective does a survey of Japanese animation from 1924 to 1952. Is there any reason why there are not any films from before the 1920s? Akira Tochigi: Actually until last year, we haven’t had any surviving elements of animation from the 1910s. But a private collector found two elements of early animation from 1917 [35mm prints]. We are now doing their digital restoration. We will showcase them soon in a program highlighting recent restoration projects. What can you tell us about the state of Japanese animation in the 1910s? Animation was first imported to Japan between 1908 and 1910 from France [the works of Émile Cohl] and the UK. The Japanese film industry created its first major studio in 1912: Nikkatsu studio. Nikkatsu was very powerful at making and distributing its own films but also distributing foreign films. Gradually, along with its competitors, it began being interested in making animation. Pioneers of early animation found opportunities in these studios. Around the 20s, as more animation came from abroad, especially the States, the majors lost interest in producing their own animation. Rather, [they decided to focus on] importing. They believed that American animation was much more sophisticated and more appealing to [Japanese] audiences. But also in the 1910s, there was a heated debate in Japan about the influence of cinema on children. The portion of young audiences was big: about 30 to 40 per cent of the moviegoers. The government, academics and intellectuals were all concerned on the [effect of films] on children. 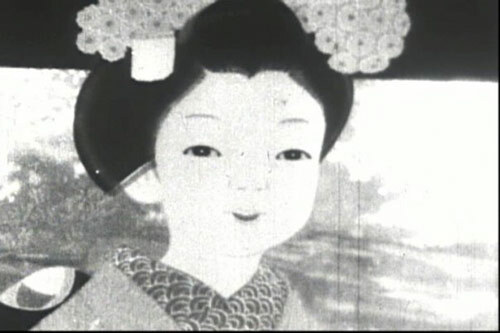 So in the early 1920s, the Japanese central government set up the policy of supporting educational films [which at the time also encompassed] animation. By this kind of categorization the government supported animation filmmaking and sometimes commissioned independent filmmakers to make animations for kid audiences. Animation became a way to safeguard children [from] the influence of cinema. And so, its quality changed at that time.